The Center Does Not Want Your Attention II. On Time Well Spent and Ethics. 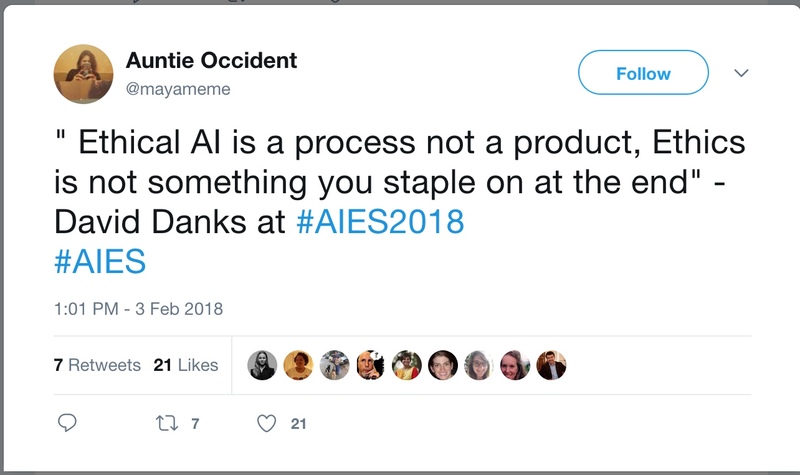 As a follow up to my previous post about the Center for Humane Technology, I want to examine more of their mission [for us] to de-addict from the attention economy. 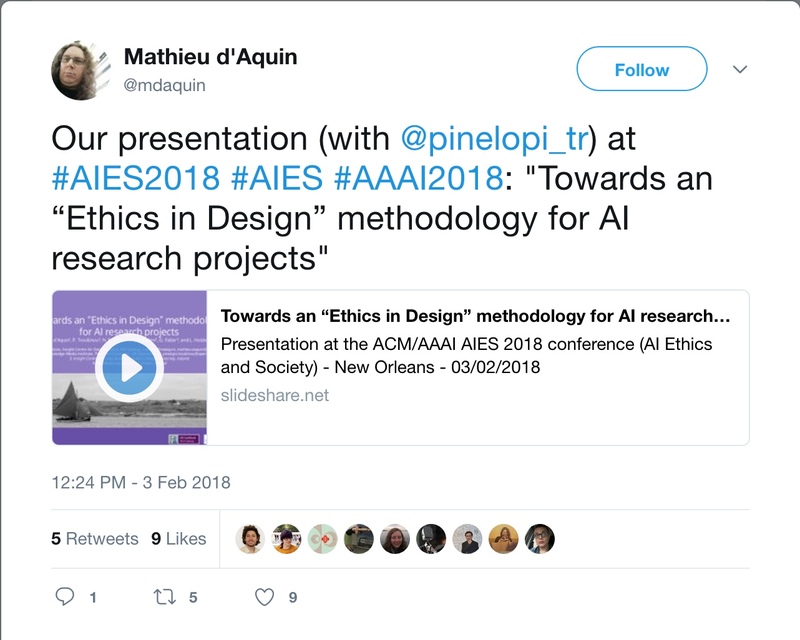 In this post I write about ‘time well spent’ through the lens of Sarah Sharma’s work on critical temporalities; and share an anecdote from my (ongoing) fieldwork at a recent AI, Technology and Ethics conference. Time Well Spent is an approach that de-emphasizes a life rewarded by likes, shares and follower counts. ‘Time well spent’ is about “resisting the hijacking of our minds by technology”. It is about not allowing the cunning of social media UX to lead us to believe that the News Feed or TimeLine are actually real life. We are supposed to be participants, not prey; users not abusers; masterful and not entangled. The sharing, pouting, snarking, loving, hating and sexting we do online, and at scale, is damaging personal well-being and the pillars of society, and must be diverted to something else, the Center claims. As I have argued before in relation to the addiction metaphor the Center uses, ‘time well spent’ implies the need for individual disconnection from the attention economy. It is about recovering time that is monetized as attention. This is a notion of time that belongs to the self, un-tethered, as if it were not enmeshed in relationships with others and in existing social structures. “What Foucault is to Power, Sarah Sharma is to Time”: Time like power is everywhere, it is differential, flows, changes shape, organizes society and relations between bodies. Sharma’s In the Meantime: Temporality and Cultural Politics explores how relationships to time organize and perpetuate inequalities in society. Harris’ approach constructs social media time as ‘me-time’, an individualized emphasis on being social. However, the digital ecosystem generally, and some social media platforms, host both public and intimate economies of care and work that make getting off near impossible. Migrants maintain family relationships across distance; entrepreneurs set up and manage businesses; millions are employed by digital apps and platforms; activists amplify their causes; marginalized people find community. Not spending time on these platforms is not a choice for many people. Recent initiatives bring critical labor politics perspectives to the monetization of our time-as-work and work-time on these platforms, such as Platform Co-operativism and the scholars and activists at this upcoming event Log-Out: Worker Resistance Within and Against the Platform Economy. These offer ways to think about the Center’s concerns with time-as-individualized critically, through labor organizing and rights, and the history of scholarship on Taylorism, management science and the capitalist structuring of work-as-time, broadly. 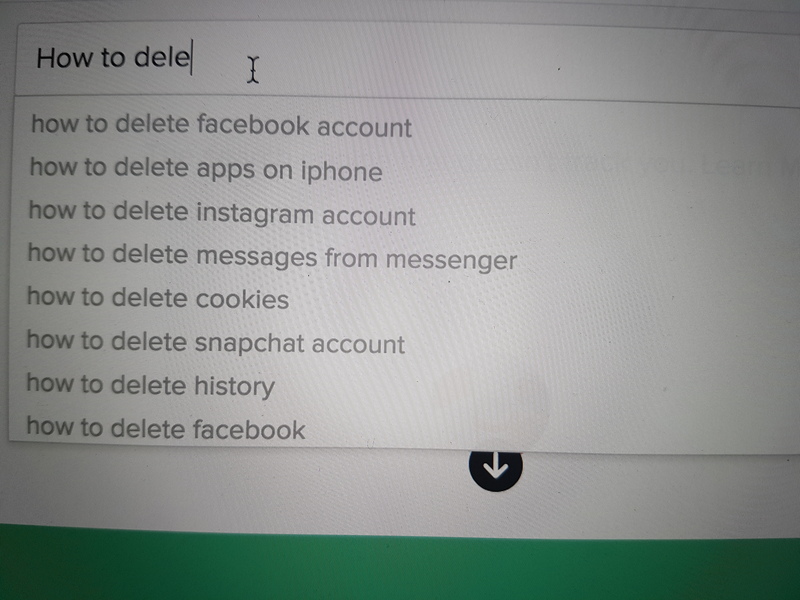 The questionable gift of social media apps and platforms is that they would make us all more efficient – personally and professionally – because our deep connections across a limited number of platforms would make things faster, and “friction-less”. It is an oft-repeated observation that when email was first available it was something of a reprieve from having to respond immediately, as you might to a phone call. Technology made a promise that you could manipulate, expand and make time; but this delay has become perverted, and UX became a sort of handmaid to this effort. 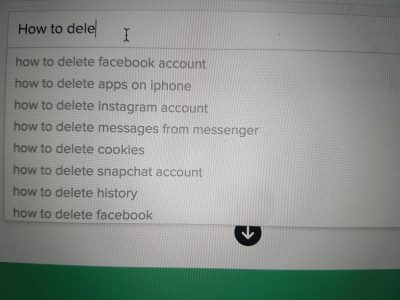 So the notification lurks there saying “oh you don’t have to look at this now, you just need to know something has arrived for you and you can look at it whenever you have the time.” In Harris’ list of things to do to minimize social media addiction, turning off notifications is one. When Harris talks about spending our time well, and about well-being, I claim he wants us to re-calibrate time in a continuation of a familiar neoliberal agenda. You are responsible for how you spend your time. Find a number that values what you do with your time [which is a number that is supposed to reflect what you do, not who you are]. Slow down; Sharma writes about slow food, wellness, yoga in the office, listening to your body. But also: maximize your slowed-down time. No one on the panel responded except to say they hadn’t really considered it. Though, someone came up to me later and introduced themselves as working at a national standards-setting organization. One of the many things the organization does is to standardize and verify training data sets and how they are to be used. 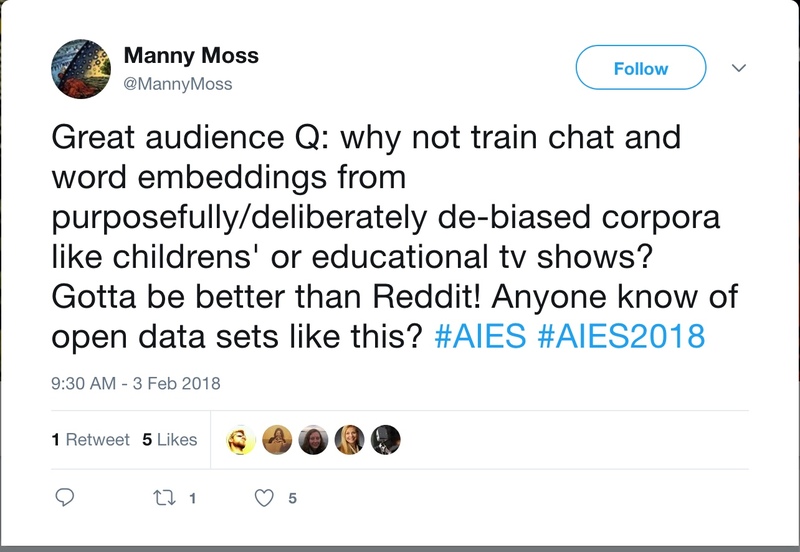 They were both intrigued and concerned by my question: intrigued because they saw the problems in using social media data, but concerned because children’s literature would not work as a training data set. At all. Nor teen fiction. 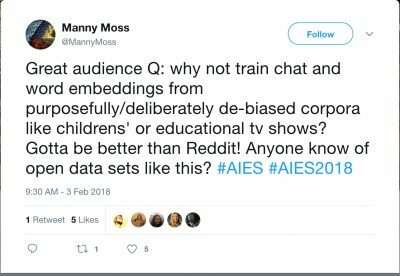 I tried to emphasize the principle rather than the detail – are there other training datasets that might shift the standards of speech – ours and machine speech – and what would it take to employ them? Eventually, they said, it comes down to this: Social media data is already there, it is faster and more reliable. It would take a lot more time and effort to develop new standards through different kinds of speech. Why is that a problem, I asked? Isn’t there time to innovate in new directions while carrying on with the same rubbish data? I mean, Twitter isn’t going anywhere. Time – theirs – is an economically valuable resource; and they don’t want to spend it. Our time as users is also valuable but one to be extracted, monetized and manipulated. Finding ways to get users to spend more time on a website and fall deeper into its seductions is exactly what Harris did at Google. If there is sincerity in making time ‘well spent’, I’d argue it has to become a consideration through the process of development rather than be something managed at the output end of a highly asymmetrical power-economy. I believe this to be a question of ethics too, and of the structural dimensions of how technology industries build technology. 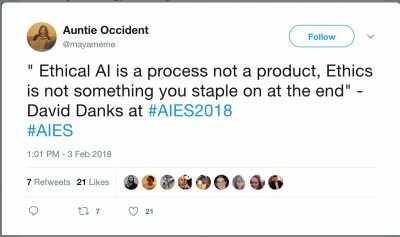 I’ve argued that ‘ethics in AI/ML’ is being treated as an outcome, a rule-based, computational, decision-making process to be completed by machine learning. I believe many papers presented at this conference were in this mold. Instead, what if ethics were considered to be a series of ongoing, complex negotiations of values between humans and non humans? And as integral to the design process? A few others at the conference were on the same page. I view the the Center’s emphasis on de-addiction at the user-end as part of the ethics-tacked-on-at-the-end approach, and the ethics-as-output approach. 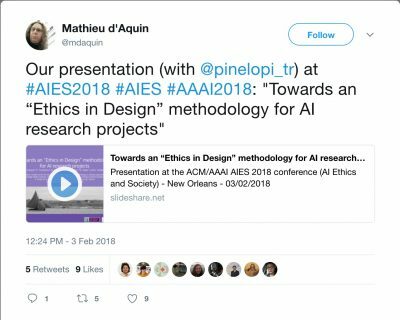 It is much harder to think about what it means to design and build technologies ethically, than to make a technology artifact that makes decisions that are deemed ethical because they were programmed according to rules based on specific approaches to ethics. We need more of the former and less of the latter. Perhaps if time were spent well through the process of building digital technologies, society and democracy might be better served. The Center’s efforts, and that of other efforts – like Listen Up from RagTag – are very welcome in this direction. Maya Indira Ganesh is working on a PhD about the testing and standardization of machine intelligence. She enjoys working with scientists and engineers on questions of ethics and accountability in autonomous systems. She can be reached on Twitter @mayameme.